Carpal Tunnel Syndrome (CTS) is a painful condition that causes sore wrists and hands, numbness and tingling, as well as weakness and clumsiness of the hands and fingers. Although it is considered one of the most common work injuries in America, genetic and other health factors such as obesity may also play a role in some cases. Women are also three times more likely to suffer carpal tunnel than men. This condition can make it very hard for sufferers to keep working, and many people become so desperate from the pain that they seek surgery to correct the problem. If you suffer from CTS, however, we urge you to consider the effective and much less invasive chiropractic and physiotherapy options provided by Dr. Michaux. CTS occurs when the median nerve (which travels through the narrow, bony carpal tunnel in your wrist and controls the feeling and operation of your hands and fingers) becomes pinched. The median nerve shares space inside this small, rigid tunnel with nine tendons. Tight ligaments that border the tunnel, as well as inflammation of the tendons or other tissues inside the tunnel can pinch the median nerve, causing sore wrists, numbness and tingling in the hands and general weakness. The inflammation is frequently caused by hours of repetitive stress from un-ergonomic movements of the hands during work. CTS work injuries have been reported by everyone from computer programmers and hair stylists to factory workers and professional musicians—all of whom use their hands all day at work. Comprehensive chiropractic care from Dr. Michaux can help CTS sufferers get their hands and their lives back without invasive surgery. He starts by fully evaluating your musculoskeletal alignment, particularly in the hands and arms, as well as your spine. Misalignments in the spine can cause nerve problems throughout the body, including the wrists and hands. He will also ask you about your work and other aspects of your lifestyle that may affect your hands and be causing inflammation. He evaluates the tight ligaments and soft tissues around your wrist as well. Once he understands the source of your sore wrists, Dr. Michaux will develop a customized treatment plan to alleviate your carpal tunnel and help you avoid it in the future. Spinal and extremity adjustments provide relief by un-pinching nerves. Physiotherapy techniques also help reduce inflammation to relieve pressure from the median nerve. 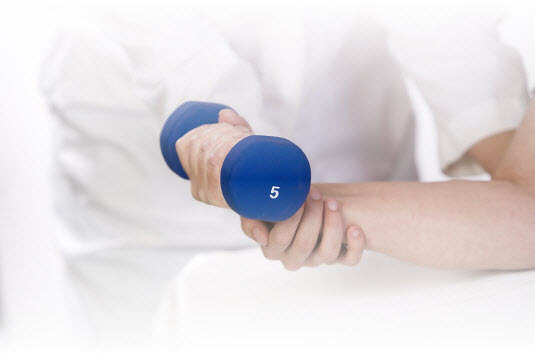 Dr. Michaux also teaches patients stretches and exercises to improve hand strength and flexibility. And in the case of work injuries, he also coaches patients on more ergonomic ways to accomplish daily tasks so that CTS pain is less likely to resurface in the future. The bottom line is that most CTS sufferers, if they receive chiropractic treatment to alleviate their pain, can avoid having surgery and regain their hand strength much more quickly, and without additional suffering. Call us today at (352) 243-7300 to learn more or to schedule an appointment.